Netflix's corner of the Marvel Cinematic Universe is set to come to a head with next month's The Defenders. And while Marvel fans are eagerly anticipating the team-up between Daredevil, Jessica Jones, Luke Cage, and Iron Fist, Marvel TV head Jeph Loeb just revealed that another partnership between two established characters is on the way. "A friend of Colleen Wing's may be coming by," Loeb teased during The Defenders' SDCC panel, "and that makes me a little Misty." Fans of the Marvel Comics lore will quickly recognize that comment as a hint to the Daughters of the Dragon, the official name for the private investigation agency run by Colleen (Jessica Henwick) and Misty Knight (portrayed in the MCU by Simone Missick). The duo was first introduced in the pages of Iron Fist in the 1970s, and earned their own limited comic run back in 2006. With Missick already bringing Misty to life in Marvel's Luke Cage, this team up was definitely hoped for by quite a few fans. Whether or not the duo will fully form their private investigation agency in season 2, or just team up in some capacity, has yet to be seen. Nevertheless, news of the duo uniting on the upcoming second season of Iron Fist is sure to excite many fans, especially after both appear in The Defenders. 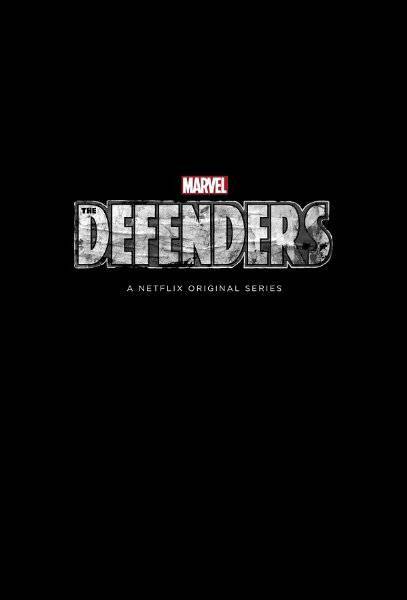 The Defenders stars Charlie Cox (Daredevil/Matt Murdock), Krysten Ritter (Jessica Jones), Mike Colter (Luke Cage), Finn Jones (Iron Fist), Jessica Henwick (Colleen Wing), Rosario Dawson (Claire Temple), Sigourney Weaver (Alexandra), Elodie Yung (Elektra Natchios), Babs Olusanmokun (Sowande), Elden Henson (Foggy Nelson), Simone Missick (Misty Knight), Rachel Taylor (Trish Walker), Scott Glenn (Stick), Eka Darville (Malcolm Ducasse), Debbi Morgan (Delores), Carrie-Anne Moss (Jeri Hogarth), and Deborah Ann Woll (Karen Page). Daredevil seasons 1 and 2, Jessica Jones season 1, Luke Cage season 1, and Iron Fist season 1 are all available on Netflix now, while The Defenders is expected later in the year. The Punisher does not currently have a release date. Netflix has announced a second season of Jessica Jones and a third season of Daredevil, but no release dates have been announced for those either.